Homemade Cranberry Sauce: so easy to make you’ll spend money buying it again! I could be wrong (tell me), but I believe the reason most people buy things is not that it is easier to buy it that make it. It is because they think it is. They don’t actually know how easy it is to make many things at home that used to be a very basic part of school and home education. One thing is for sure: it is much healthier to make everything yourself. You have control of your food. There are no chemicals or preservatives in it. After reading this, tell me if you think it is easy or hard! 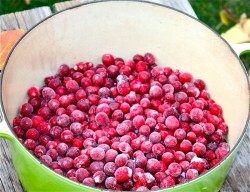 A couple of bags of frozen cranberries right out of the freezer and into the pot: gorgeous berries. I make enough at Thanksgiving for Christmas, as well. I added three cups of sugar. I like to add the least amount of sugar possible. Some people would add more. I have one cup of sugar per pound of berries here. Then, barely cover the berries with water: skimp on that. 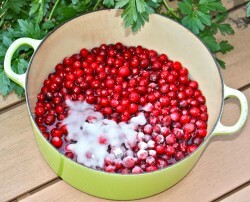 Fill the pot with water to about two thirds up the sides of where the berries come. 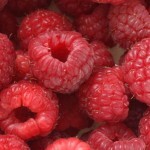 Bring to a boil; the berries will pop open and their skins will split. They produce their own pectin and lots of it, so you just boil at a low rolling boil (once the pot boils, turn down the heat and maintain a boil) for about 10 minutes. 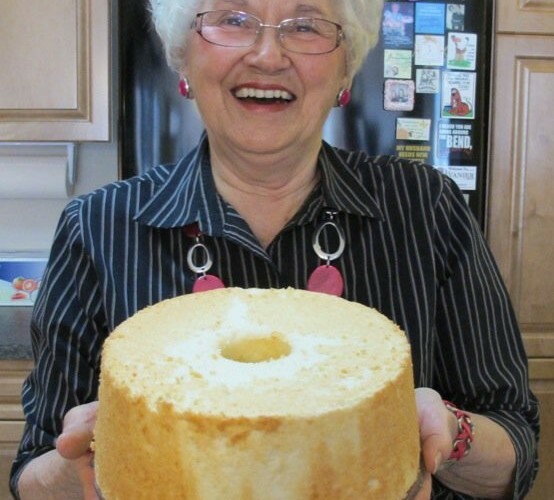 My grandmother taught me that if you dip a wooden spoon into the mixture and hold it up horizontally the jelly will drip off of the spoon. When the drips coming off of it form together or run together to make one drip, it is done. 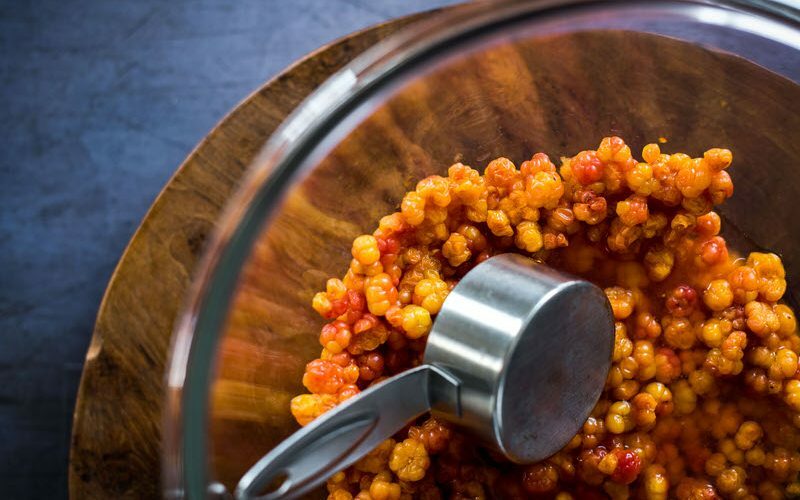 I still do this, but usually, 10 minutes works as long as you haven’t added too much water: remember to fill the pot with water to about two thirds up the pot to where the berries rise. You are done! 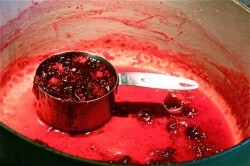 FIll your jars with the jammy jelly mixture and let it cool. Cover and refrigerate when cooled to room temperature. This doesn’t need to be processed any further and will keep in the refrigerator until your Easter dinner, too! Isn’t it gorgeous? I never eat it with the hot meal, but there is nothing like a turkey bun-wich the following day on a homemade bun with cranberry sauce and salt and pepper. Yum! That is definitely another of our family traditions. 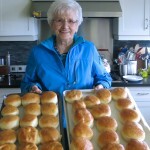 Dad used to make the bun-wiches the next day for lunch. Wonderful memories of our little family of four sitting around the chrome arborite covered kitchen table, feet dangling under my chair, house spotless (it always was) and the crimson leaves waiting for me to run out and roll in. Ah! I had a wonderful childhood. 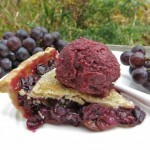 Simple, delicious, very easy to make and keeps for several months in the fridge. If you make yours, please tell me how you do it. If not, do you agree, now? Is it easy? Tell me what you think because I really am curious and so is Beavie (though he is currently sleeping off his turkey coma). That is great. I’m goign to try that for thanksgiving this year. I bet you are going to have the most amazing Thanksgiving table of anyone. The cranberry sauce looks great, and I agree, homemade always tastes better (hubby says you can taste the tears of frustration and it gives food that little extra “something” LOL). Do you make yours, or do you have cranberry sauce with your turkey? I’d have to say it was easy Valerie. I hope you are having an amazing Thanksgiving feast! Lovely pictures. So I guess you guys celebrate your Thanksgiving earlier than we do. No wonder these lovelies are making an early appearance. Your cranberry sauce is beautiful! I do agree – so easy! Sometimes I actually serve a cranberry chutney – sauteed onion and garlic, a bit of ginger, some apple cider vinegar, a bag of fresh cranberries and some cranberry juice. So yummy on a turkey sandwich! Mine’s of the highbush variety, as may be expected. PLUS we buy a can to bring to my mother-in-law’s, because she always forgets, the world ends, she demands my father-in-law or brother-in-law go out to Safeway to buy some when everything else is already on the table, so we can all wait around the table while food gets cold and dry[er]. So we now buy a can, every thanksgiving, Christmas, and easter…to avoid that disaster. Albeit a small disaster on the scale of said disasters – good ones involve kitchen grease fires and melting plastic. I’m with you. Cranberry sauce is so easy to make I can’t understand anyone buying a can of it. What is better than homemakde cranberry sauce? 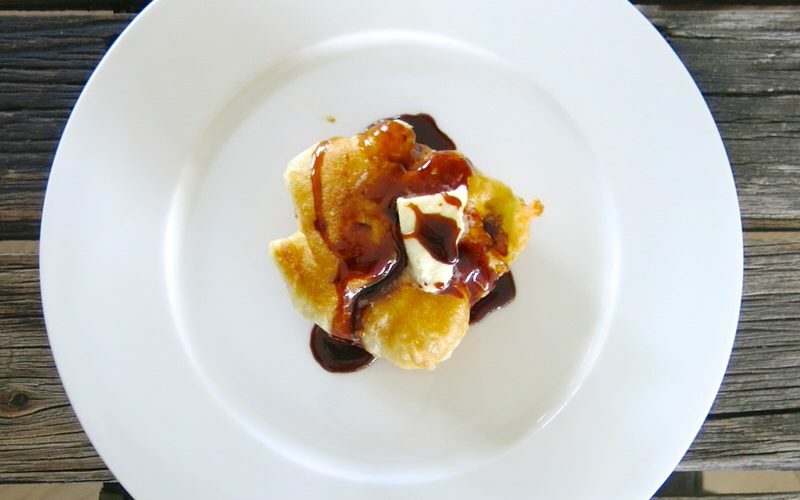 The tartness definitely brings balance to savory-sweet dishes. I agree. The only thing easier to make than cranberry sauce is toast. 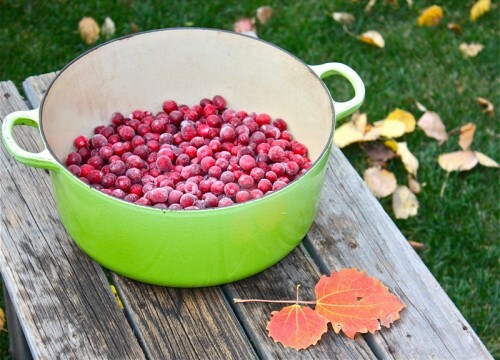 How do you make your “own” cranberry sauce? I did make cranberry sauce from the recipe on the package once and was surprised that it was that easy! Yours looks great that color is so vibrant! OMG! Ain’t they looking GOOD! I love cranberry sauce. This recipe looks amazingly good and easy. I hope you and yours had a wonderful Canadian Thanksgiving! Yum. You are definitely right, Valerie – nothing beats home made cranberry sauce. My aunt made it this year and it was delicious. Can’t wait for Christmas for some more. When I was in University with no kids and hubby to care for, I would’ve agreed with you that the reason most people buy things is because they think it is easier to buy it than make it. But now as a wife and mother, sometimes I buy things to save time. We all know how precious time is when you have kids. But then also on the other hand, because I’m a mom and wife now, I feel I need to learn to cook, bake, and make my own sauces to save money and feed my family healthy. So I guess it depends on what stage you’re at in life? That was a great point you brought up that actually got me thinking. 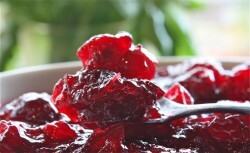 Your cranberry sauce looks wonderful and I’m impressed by how easy it is to make. Not to mention, so few ingredients too. Thank you for sharing this. 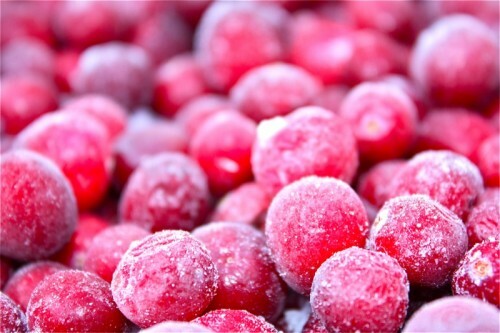 I love the close-up shot of the frozen cranberries, beautiful colour. Hope you and your family had a great thanksgiving. 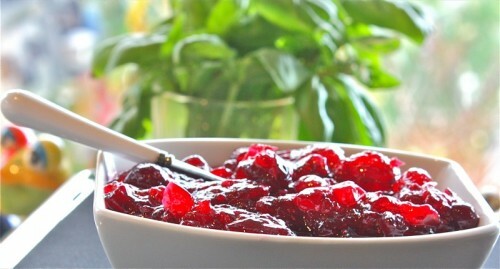 Your cranberry sauce looks wonderful!! 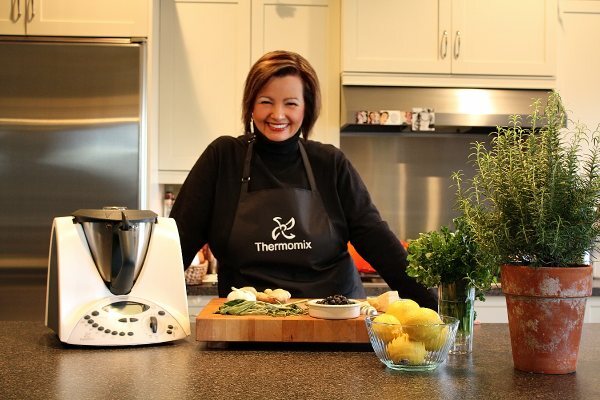 Val, can you give me the recipe using thermomix? Can we make jam on it? 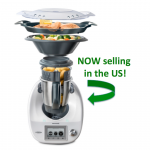 Trissa: The Thermomix is EXCELLENT for jam making. I didn’t use it for the cranberry sauce because I wanted the berries to remain berries. With jam, everything is pureed, so the Thermomix is perfect. I will try it with the Thermomix next time, at slow speed, in reverse mode. It would probably make great cranberry sauce. Thanks for the kick in the pants! This looks great! 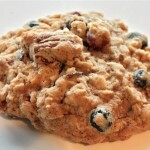 I would love to compare and contrast vs my cranberry recipe, but the problem is I don’t have one. It’s a little embarrassing for a foodie like me, but I love cranberry sauce that comes out of the can (the one that looks like the can complete with the little ridgies), so I rarely make it. Very strange, as you know that I am a little nuts and continually push to make everything I eat from scratch. I’ll break with tradition this year and give your recipe a go, but I’ll keep a can around for backup. I’ll keep you posted to see if you have converted me! Hey Val – Right there with you! 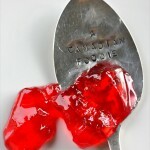 Nothing beats homemade and your cranberry jelly/jam proves it. Wonderful color here and such a wonderful mental picture of you in your kitchen, feet dangling gobbling this up as a kid…sigh…. I add some orange rind in mine 🙂 Gosh can’t believe Thanksgiving is around the corner! You have sold me on this cranberry sauce. I am making mine this year. Yours looks beautiful! Simple but delicious! Love fresh cranberry sauce, especially on a Turkey sandwich! I love cranberry sauce! To me, it’s one of the essential essences of Thanksgiving dinner. What a great recipe and instruction. btw, Your page finally loaded up-yeah! 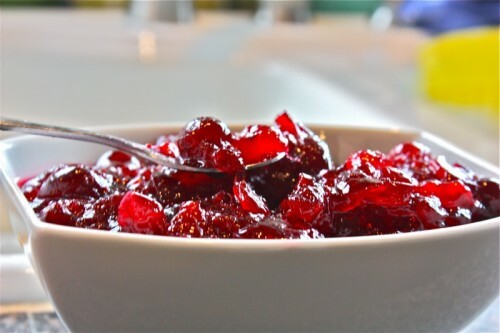 It’s always been a puzzle to me too…cranberry sauce is so simple to make and tastes so much better than canned. I make it ahead and freeze it if I’m having a crowd. Love your photo with the spoonful of red against the green trees! Hey Valerie! Ugh, I am back on-line. Yes (smile)! p.s. Me wants that green pot! 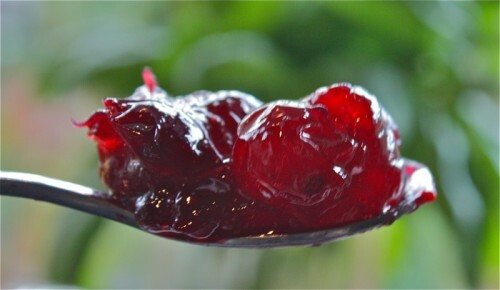 I don’t usually eat cranberry sauce on it’s own…I do, however, enjoy it very much blended with other fruits. Hope you had a very memorable Thanksgiving! 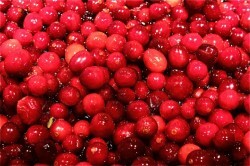 I adore cranberries and I love your homemade cranberry sauce. I make on very similar. I don’t understand why more people don’t make their own. It’s so simple. I use the least amount of sugar also. 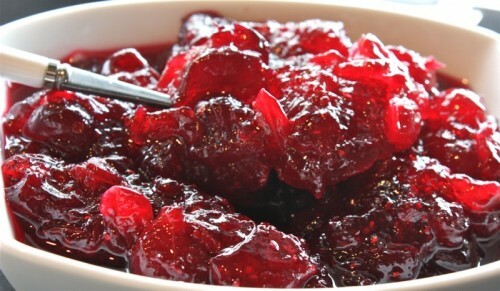 Your photos have captured the beauty of the cranberry sauce. Lovely job. 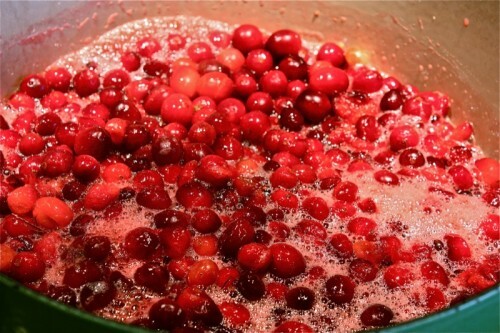 Originally Posted By The Teacher CooksYou have sold me on this cranberry sauce. I am making mine this year. Yours looks beautiful! I love real homemade cranberry sauce. It really does make a huge difference to the canned stuff. Absolutely gorgeous sauce! Love the bright red colors. 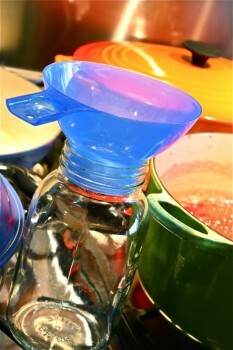 I love homemade recipes and this has been a very useful post. Nicely done sauce with easy-to-follow steps. My 87 year old Dad still goes “cranberrying” ever fall. 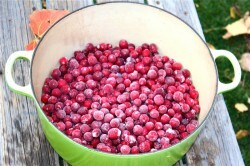 When I lived in Nova Scotia I just had to open his freezer for my endless supply of fresh frozen cranberries. Your recipe is the exact same as mine. It’s so fast and easy. Here in Korea I have to buy canned cranberries from the “Black market” store. 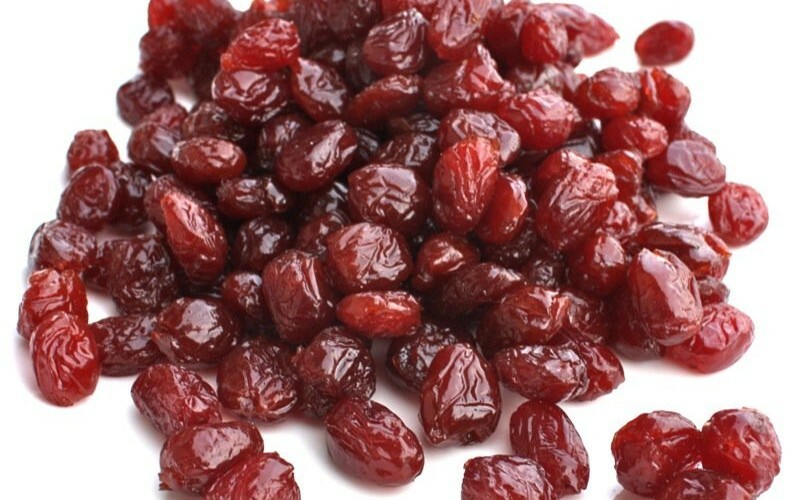 There is no comparison to the fresh, but still better than no cranberries. 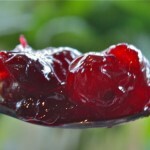 Valerie, I made the cranberry sauce following your recipe to a T. It was so easy and so good. I will never buy another can of sauce. It was wonderful on my bagel this morning, too. Teacher Cooks: That is WONDERFUL! I just realized, I don’t know your name! Silly, eh? I never thought of eating it on a bagal, but love it in a turkey bunwich and it is also incredible with chocolate. I made a chocolate mousse layered with this that was deadly, once. It’s my first time making home-made Cranberry Sauce for Thanksgiving Dinner. It is my absolute favorite part of the meal. I love it on my turkey, mmm-hmm. 🙂 Unfortunately I am hypoglycemic and the high-fructose corn syrup makes me crash about an hour into the holiday and puts me in a horrible mood that probably ruins everyone’s holiday. This recipe is gonna be perfect. I haven’t made it yet but it sounds VERY simple and delicious! Not too much sugar is really great for me. What a joy to hear your enthusiasm about cranberry sauce! I share it with you! This is easy to make and I would love to hear how it goes! Happy Holidays! 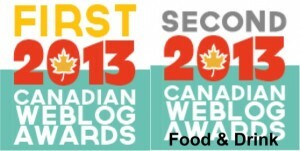 Cannot wait to hear if there was enough sugar in the maple syrup to set the berries! That would be DELICIOUS! Happy New Year to you and big hugs! Of maple syrup, I used only half the volume of sugar your recipe called for, in proportion to the amount of cranberries I had. It turned out so thick, I’ll probably use more water next time … and incredibly delicious!!! I confess that I’m apparently incapable of following any recipe, pattern, or assembly instructions — and I have genes for that from bothsides of my family, so while I confess, I can’t apologize. I threw in a half dozen cloves near the end, and when I saw how thick it was, added a couple of tablespoons of triple sec as it was cooling. We’re vegan/vegetarian, and served it with sweet potatoes, squash and black bean “burgers”. Other good stuff, too, but that’s what went onto the fork with it! Super delicious. I crowed to my siblings about my foray into “cranberry sauce from scratch.” They were appalled to find how simple it is, and that they’d been relying upon store-bought lo all these many years. Since I served my own last turkey some time in the 1960s, the canned cranberry company hasn’t had any contribution from me to its profitable bottom line. And now thanks to you, I suspect there’ll be a few fewer tins being purchased in future years! Thanks again for such an uplifting experience, fool-proof, hassle-free and (as my daughter used to say) awesomely awesome! What a beautiful story. The confession without apology is my favourite bit, for sure! 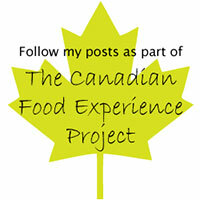 I have a huge jug of maple syrup in the outdoor fridge, so I think I will give your idea a go.